There’s an old Pontiac LeMans advertisement that reads “LeMans is for driving. LeMans is for looking at. LeMans is for being looked at in. Aren’t you glad we think of everything?” I think this tends to sum up why a lot of people buy an exotic sports car. Most will be driving their sports car on ordinary roads under the watchful eye of “Mr. Plod”. So they won’t be doing a lot of high speed and hard cornering work; and by hard cornering I mean at least one wheel in the air. But if they are a car enthusiast then there is a real joy in just owning and driving something like a Porsche 911, so logic and budget won’t greatly influence the purchase decision. And then there are those who want a car that is exclusive, a car to be seen in, a car for being looked at in. Real car enthusiasts are normally not in that category. But world wide I’d give you a penny to a quid that the vast majority of actual buyers of new exotic sports cars such as Porsches, Lamborghinis and Ferraris are in that category. Especially amongst the nouveau riche in places like China. 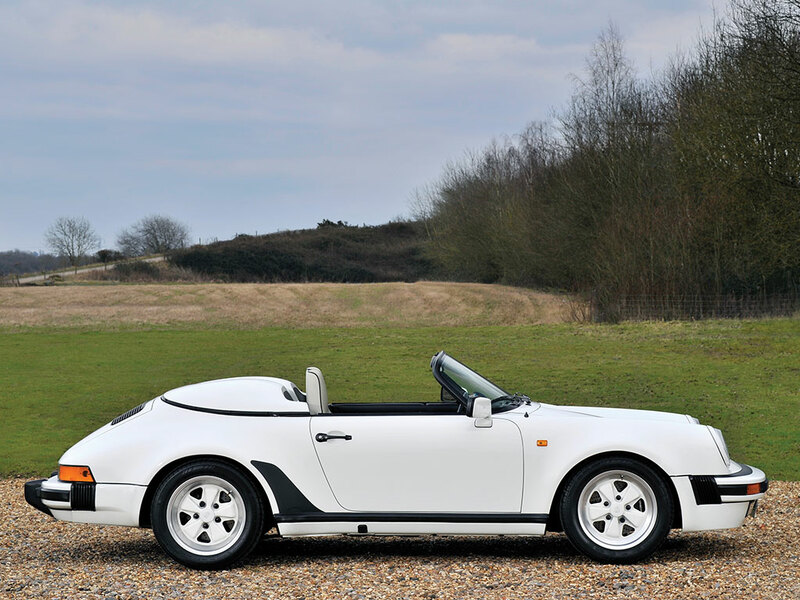 Porsche’s Speedster models were originally built for those who might want to go racing. When Porsche first created their “Speedster” type cars they were creating cars for people who might want to use them in competition or race them. Some models were so cut down and lightened that a buyer had to sign a waiver that specifically acknowledged that they understood that their makeshift soft top was not waterproof. Nonetheless it didn’t take the folks at Porsche long to figure out that their Speedster models were not just being bought by people who were looking for an “off the shelf” competition car, but were being bought by people who were attracted to the Speedsters racy looks and the fact that they were unusual, more expensive and therefore more likely to attract attention as one drove down Hollywood Boulevarde. If it is possible to look more exciting than a standard Porsche 911 then the Speedster accomplishes this easily. The hallmark of the Speedster was the lowered windscreen and their conversion to being a two seater instead of being a 2+2. 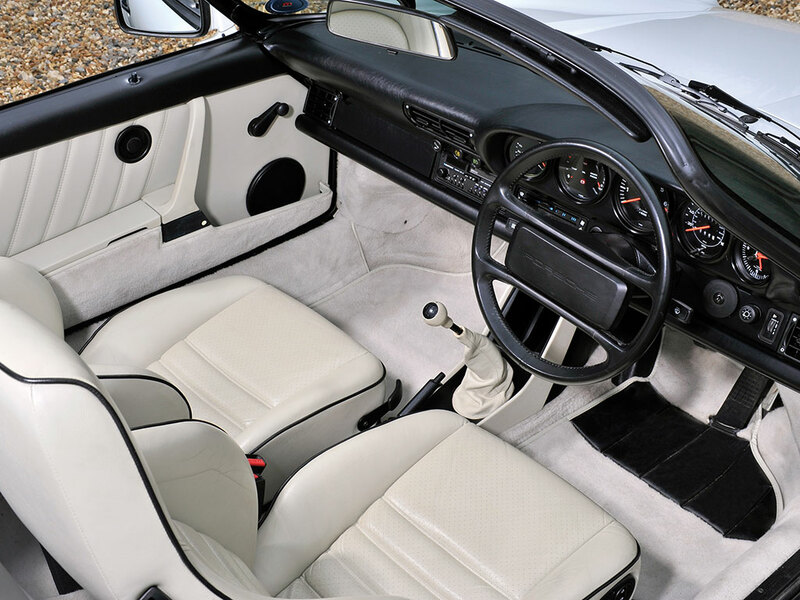 By the time we get to the 1989 model 911 Speedster Porsche had refined the idea of what a 911 Speedster needed to be, which included the idea that it needed to be an expensive, limited production (i.e. exclusive) car with the effect of having been lightened and made fast, yet also comfortable and even weatherproof so it would be attractive to prestige car buyers. 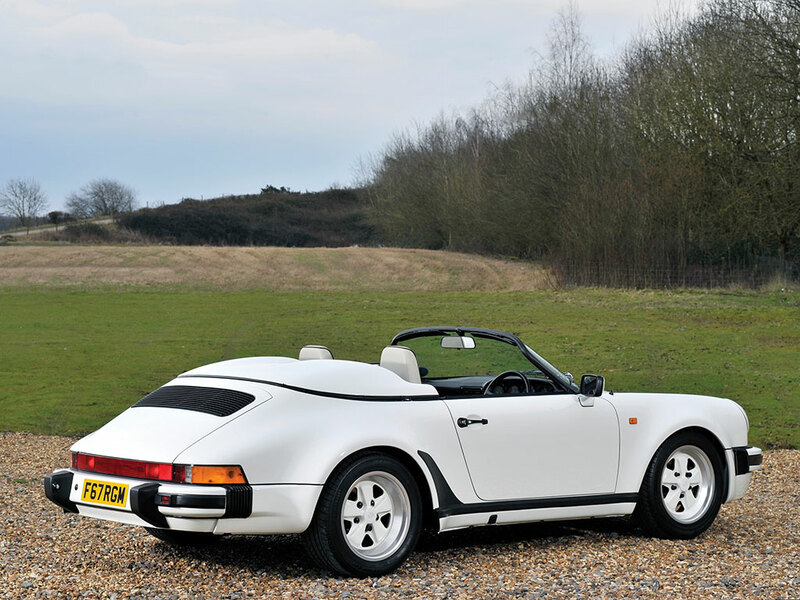 With the 1989 Porsche 911 Speedster the team at Porsche got it right. Leather and soft carpet everywhere. Welcome to the comfort zone. The Speedster went into production between January and July of 1989, so it was only in production for six months or so. 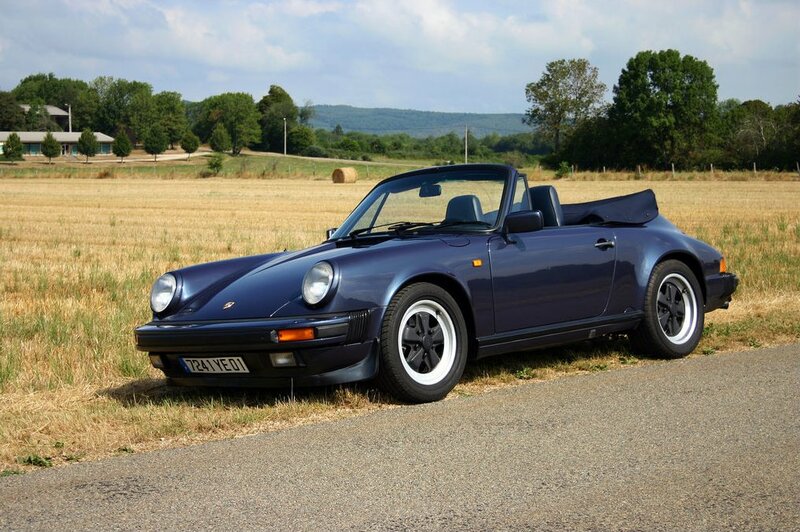 Based on the 1989 Carrera series they bear some similarities to the 911 Carrera Cabriolet but with that lowered windscreen and the twin hump fibreglass cover at the rear for the soft top they are a far more attractive looking car. Porsche 911 Carrera Cabriolet. Note that the standard windscreen with quarter vents and standard soft top are likely more practical but certainly not as good looking. (Picture courtesy Wikipedia). 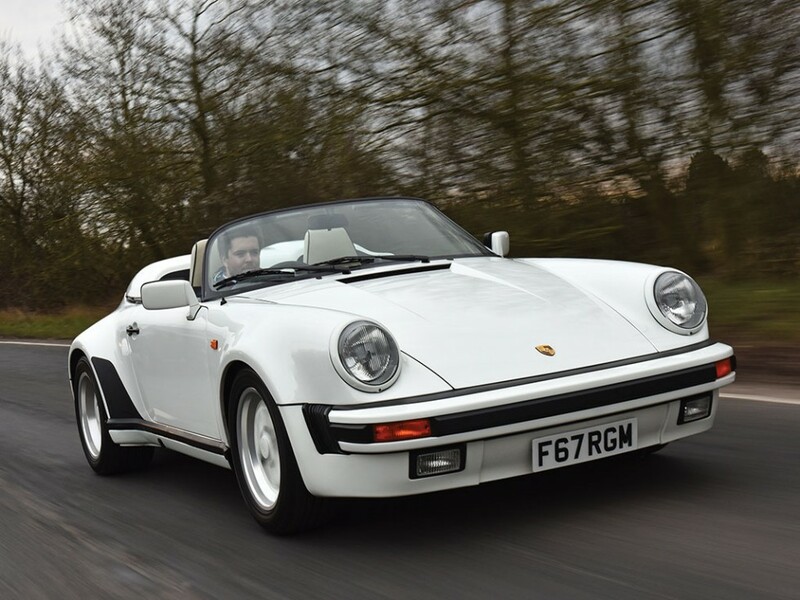 2,102 Porsche 911 Speedsters were made of which 823 went to the US market and only 139 right hand drive for places like the UK and Australia. The car we are featuring was one of just 64 allocated to the UK. They were made in both the narrow body style and in the Turbo-look style though most are of the Turbo-look type. So mechanically, suspension, brakes etc. 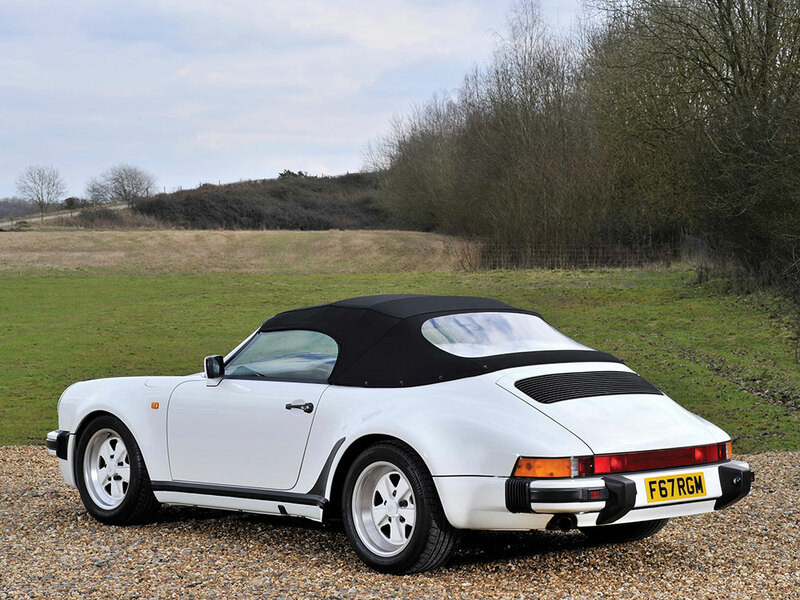 they are a 911 Carrera but with only two seats and the Speedster windscreen, soft top with hump-back and some weight saving. 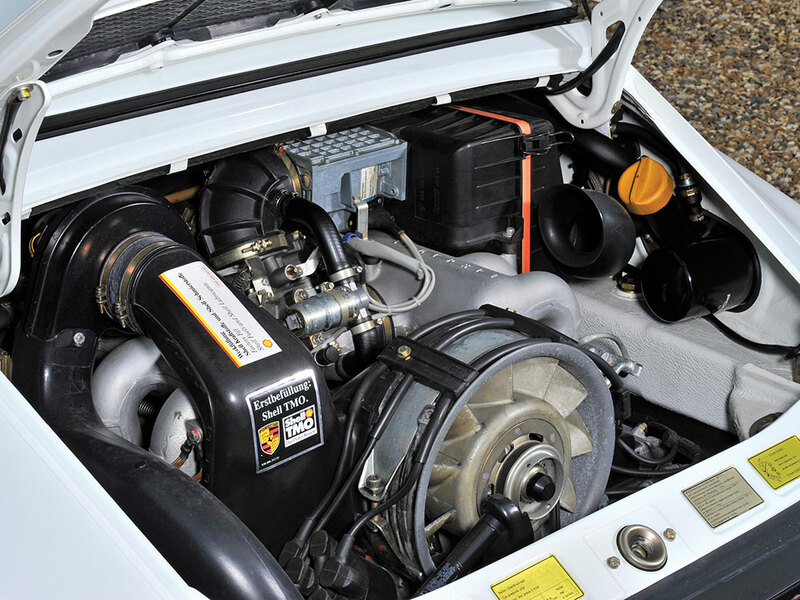 The engine is the familiar horizontally opposed alloy air cooled six. Capacity is 3164cc and power output on this car 217bhp. 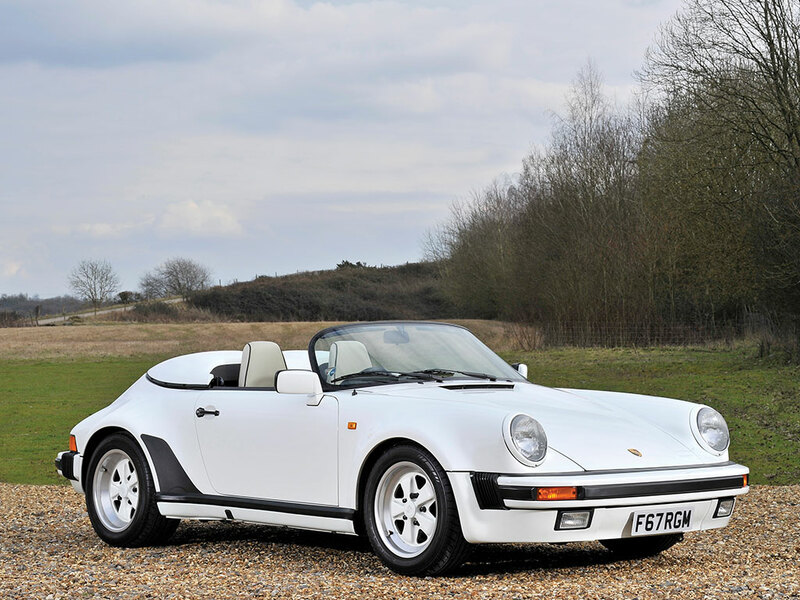 This particular 1989 Porsche 911 Speedster painted in Grand Prix White with matching wheels has only covered 26,300 miles from new and has had four documented owners. The car is in beautiful concours condition and has taken a number of awards. 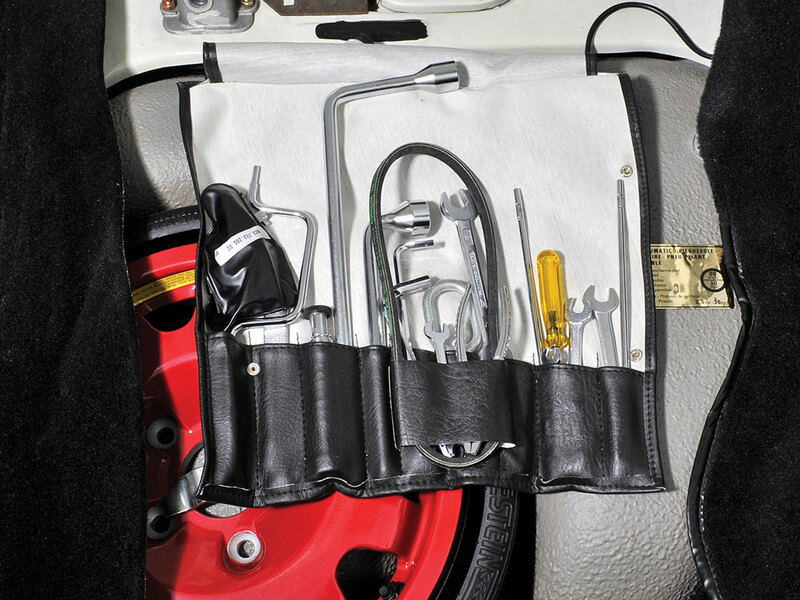 Even the original tool kit is there and complete. Even the factory standard tool kit is complete and unused. So this is a highly desirable car pretty much in as new condition despite its twenty seven years of life. You will find this car coming up for sale at Sotheby’s Monaco Auction on 14th May 2016 which is quite the most appropriate sort of place for this car to appear. Click here to visit the Sotheby’s auction page. The soft top on this car is quite practical and Porsche tell us that someone who has been taught how to operate it can extend and fit it in about two minutes. Of all the Porsche 911’s ever made I personally would choose this model above all the others were I planning to own one. There is something about the Speedster that takes it from being just another Porsche to being a rather special Porsche, one that is known to attract a crowd when it is shown. I wouldn’t buy a car to be looked at in. But I think I would park the Speedster in the driveway every now and again and enjoy a port and cigar just looking at it, and appreciating what a delight it is.